IOS 10.3 download Dream has come true! 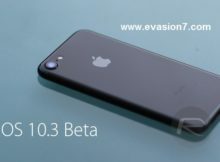 can you use Cydia iOS 10.3.1? Jailbreak lovers always try to refresh with their lovely iDevice. and now several weeks ago Apple has rolled out iOS 10.3.1 to the public with the build number 14E304.